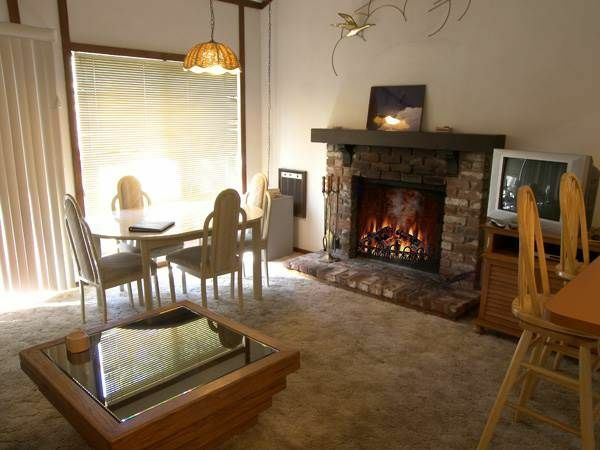 The best choice for an affordable condominium close to the Diamond Peak Ski Resort. Relax in front of the fireplace after a great ski day during the winter. During the summer, bask in the sun on the large deck and get ready for an evening barbecue. These comfortable properties have a master bedroom, a loft bedroom and two full bathrooms. The vaulted ceiling in the living room gives an expanded feel and the large windows bring in the afternoon sun. They are end units and the decks face an open glen for an additional feel of privacy. the shuttle bus to Diamond peak runs right out front and the beach is only a quick jump in the car or by bike. Seventh night free for most dates! Please ask! Vacation station sent someone to put down ant traps so it was better but there were still some ants- really big ones. We had plenty of space, which was nice. It was okay.